From the moment I stepped into reception and met Linda, I was sure I would stay.Equally when I met Ihab and the other staff, I continued to feel assured of the care and attention. Ten years ago I walked into City Dental, my teeth badly in need of treatment. I had just gone through a horrendous period in my life and certainly had nothing to smile about. A few weeks later having had various procedures I emerged with a smile on my face and have been smiling ever since. The treatment, kindness and understanding at City Dental gave me back the confidence I had lost and I never thought I would be saying “It’s a pleasure to go to the dentist,” but it is! I contacted City Dental over 3 years ago after looking at their website. I had struggled for years with teeth problems, mainly due to the fact that in the past, especially when I was young I had only ever visited a dentist when I had tooth ache or maybe a gum infection. By the time I got into my mid fifties my teeth were a mess and a big problem for me with regard to eating foods that I liked, going out for a meal, but above anything else they had a very negative affect on my self confidence. As my job for many years has involved face to face contact with customers I knew I had to do something about it. My first visit to City Dental was very positive. I was greeted at reception by Linda who was so friendly and then had a consultation (which was free) with Sunni, who gave me great advice and explained the different options open to me and a rough idea of costs etc. I went away with all the options and eventually decided to get some 'implant retained dentures' fitted. The treatment went exactly to plan, was completely pain free (apart from an initial soreness which paracetamol dealt with), and I can honestly say the finished result changed my life! Ever since my treatment finished I've been able to eat what I like and enjoy my meals again. No more tooth ache, sore gums, loose teeth, and I can smile again and feel confident......to me that is priceless. I cannot thank City Dental enough and I genuinely look forward to seeing the lovely Linda, Sunni, and Nicola on my 6 monthly check up visits. I think the service is exemplary, the treatment excellent with a top-rate level of skill shown in some obviously far-from-easy procedures. I would also mention the efficient receptionist, whose courtesy is supreme. In my experience, the hygienist and dental assistants have always been models of perfection in the friendliness and in the care they take with the patient. I would like to pass on my sincere thanks to Dr Ibrahim and his team for the recent work he has done for me . I walked into City Dental for the first time feeling very down about my smile and very nervous as I had not visited a dentist for 10 years . The whole team and Dr Ibrahim put me at ease immediately and made my experience a really positive one. I am incredibly happy with the outcome to my smile I have not stopped smiling and my confidence is now through the roof . I would like to say a big thank you to Dr Ibrahim and the team at City Dental for giving me my confidence and to smile again. I am so happy with the results. Thank you so much for giving me my life back! I would like to thank you for the service i received! I walked in not very confident with smiling! I walked out and i couldn't stop smiling! I was told that my tooth is very difficult to treat and I need to think about extracting it. Dr Ihab did a great job to it by using the latest technology in endodontics, and had an excellent result in a very challenging tooth. I am so grateful to him for saving my tooth. I am very delighted with the experience I had at the City Dental. I would like to say a big thank you to Dr Ibrahim and the team at City Dental for giving me the confidence to smile again. I am so happy with the results. I would also like to say a big thank you to Linda for all her support given to me from day one; putting me at ease at all times. THANK YOU LINDA. I am going to miss you all. Many patients (perhaps, of a certain age) may be looking to secure their denture utilising dental implants. I imagine before arriving here, many of you have already begun to research the available technologies and, most importantly, the costs. I was in the same position, and having looked, quite literally, worldwide for a solution, I was extremely surprised to discover that the best available technologies and the keenest prices were to be found in the centre of Leeds!! The treatment was professionally conducted and I simply could not be happier with the results. Very many thanks to all at City Dental. I would like to pass on my sincere thanks to Dr Ibrahim and his team for all the work he has done over the past year to allow me to smile again. The whole team and have been kind, thoughtful and patient and have made my experience a really positive one. 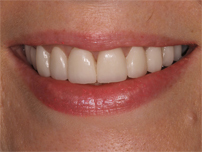 I have had a number of treatments including a dental implant and have found the skill of Dr Ibrahim was unparalleled. I am delighted with the results and have been left feeling so much more confident in myself. I would not hesitate to recommend Dr Ibrahim at City Dental to anyone who was looking for a highly skilled and professional dental surgeon. Dr Ihab Ibrahim has done an amazing job. I couldn't be happier with the results. He was very patient with me and managed to finish everything within my time schedule. I would highly recommend City Dental to anyone. As I am a phobic about dentists I was obviously very nervous about going to City Dental. As soon as you walk through the door, the receptionist Linda makes you feel at home and puts you at your ease immediately. Dr Ibrahim has done wonders for my confidence with my new smile, and Nicola – his dental nurse - has been brilliant at putting me at my ease when I go to my appointments. My treatment has taken approximately 8 months, and each time I go,, I'm less nervous. I would definitely recommend City Dental to my family and friends – and I already have, and a member of my family started their treatment not long after mine. Dr Gakhal and his staff have been amazing and I would like to thank them wholeheartedly. What may seem simple and straightforward for the practice has a huge positive impact on patients. I wasn't one for spending time in the Dentist's chair but after contacting City Dental and my initial assessment I couldn't wait to get started. The professionalism and experience of the team is very evident and the results are far better than expected. I would honestly recommend these lovely people to anybody who has ever thought about getting their teeth checked. I am very happy with my new amazing smile. The treatment I received was fantastic; I would highly recommend City Dental to anyone who is needing dental treatment. Absolutely amazing ! Thank you for giving me the chance to finally be able to smile confidently. Dr Ihab was brilliant - made me forget my concerns towards needles. I can now finally say that I love my teeth !! As someone who has had bad experiences in the past, Dr Ihab made me feel very comfortable and talked through each element of the procedure. Highly recommended. 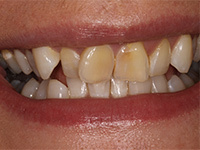 Initially I was a little apprehensive after contacting City Dental as I had not had dental treatment for several years. Any doubts I had, however, were soon dispelled as everyone was friendly and reassuring. I am absolutely delighted with the end result and have no hesitation in recommending City Dental to anyone, in fact, it is almost a pleasure to go there! I’ve never liked the dentists (and I’m sure some of you don’t either) but City Dental made me feel at ease, re-assured me and supported me through it all. I had expectations, and they were high, but what I ended up getting was far more than this, not only in the aesthetics (which were my main priority) but the service. I wanted to say thank you every day after my treatment was completed, learning to smile and show off my new found happiness has been the tough part! Thank you so much for friendly, professional and great service. I now feel so much more confident and happy - it's been liberating. A first rate dentist and a first rate human being. A real gentleman, nothing is too much trouble. 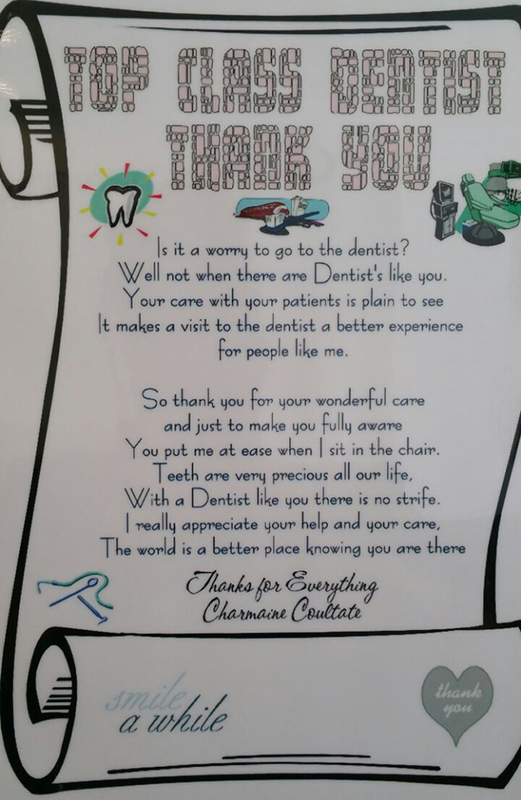 I write to express my thanks to City Dental for the treatment that I have received, also for the way that I was treated professionally but at the same time with empathy and understanding at each stage of the work that I had to have done. I wear an upper denture only and have always suffered from embarrassment due to the movement of my denture whilst talking or eating. I investigated and visited several dental practices prior to making my final decision to undertake a free consultation with Dr Gakhal to see if implants would be possible and if they would eliminate my loose denture problem. During my initial consultation I was immediately made to feel at ease by the friendly and professional manner of Dr Gakhal, Dr Mistry, the receptionist Linda and the dental nurse Kirsty, each of whom so successfully undertake their separate roles. My denture is now held securely in place with implants and it is the next best thing to having my own teeth, I am so happy and confident now that I can smile, talk and best of all eat any fruit without having firstly to peel or cut into small pieces. I highly recommend City Dental and the change to my life that implants have made, my only regret being that I did not do it years ago! Finally I would like to say a BIG thank you to one and all, I could not have wished for a more dedicated team of people. I write to express my gratitude regarding the professional and caring way I have been treated by every member of the team at City Dental. 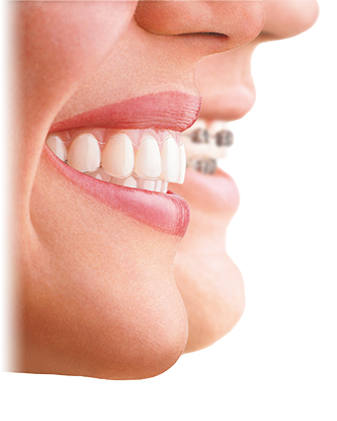 I have for several years suffered from the embarrassment of loose fitting dentures, unable to endure denture fixatives of any description I was desperate for help in being able once more to talk confidently without fear of my dentures moving about! I investigated several dental practices prior to making my final decision to undertake a free consultation with Dr Gakhal to see if Implants would be possible and if they would help me eliminate my loose denture problem, I am so pleased my decision turned out to be so right. During my initial consultation I was immediately made to feel at ease by the friendly manner of Linda, Dr Gakhal and the rest of the team that so successfully undertake their separate roles. It has been a long road, it is however so worth it, I can now talk confidently and eat meals of choice with my friends without fear of embarrassment. I had 5 Dental Implants placed that now hold my dentures securely in place, it is the next best thing to having my own teeth, I highly recommend City Dental and the change to my life that Implants have made, my only regret being that I did not do it years ago! My decision to have an implant to replace two missing teeth was made after I had a long discussion with Dr Gakhal who talked through the procedure and cost. Each stage of the dental process was explained fully and I appreciated the care and attention to detail from everyone in the practice. I was particularly impressed by the calming care that Dr Gakhal gave to ensure that treatment was given as pain free as possible and appreciated his personal attention to aftercare. The practice is modern and well equipped and everyone is approachable and friendly. It did take some time to produce the excellent end result but it was worth it. I was quite nervous about attending a dentist after neglecting my teeth for a number of years, and didn't quite know what to expect when I attended City Dental for the initial consultation. From when I first walked into their offices I was made very welcome by the team, and was talked through all of the options available to me for the treatments. I was concerned at the condition and appearance of my teeth, and although I'm a generally happy person I hated to smile as I was so self conscious of the gaps between my top teeth. I attended a number of appointments to clean my teeth & gums in preparation for the crowns to be fitted, and was made aware of the process and next steps all the way through the procedure. The team at City Dental are very friendly and I certainly felt that my individual treatment was important to them. My dentist even kept talking to me through the procedure of having my teeth prepared and having the crowns fit which helped me stay calm. I would strongly recommend anyone with concerns regarding the appearance of their teeth to attend a consultation as I'm sure once they attend they'll be more than happy with the team and the service provided. Just a little note to say that I can't thank you enough for the difference you have made to my life! After so many years of hating my teeth, I can now smile without putting my hand over my mouth - and just try stopping me! I feel like a new woman and my confidence has increased ten fold. I really appreciate your professionalism, attention to detail and expertise, all in such a friendly and relaxed clinic. Going to the dentist no longer fills me with dread!! Im extremely pleased with the results from my invisalign treatment and whitening treatment, i would recommend anyone. Absolutely delighted with the results and can't think why I didn't do it years ago. All questions were covered and a full explanation of procedure given at the consultation visit. Treatment completed in three comfortable and pain free visits. I can't thank you enough. When I first visited Dr Gakhal,I arrived at his surgery very nervous. 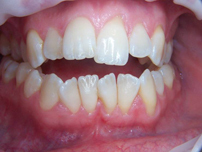 My teeth had always made me very embarrassed, he quickly put me at ease I had no idea what he could do with my crooked teeth all I'd been told was that I should have veneers but my teeth were quite healthy and I wanted to keep my own teeth if possible. 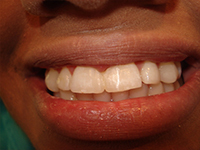 Dr Gakhal told me he could help me; I was given the Inman Aligner. The results were very fast after just a couple of weeks I could see a definite movement in my teeth after a few months the result were there for all to see. 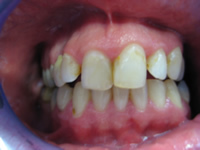 I went on to wear a retainer when I was reaching the end of my treatment. I then had my teeth whitened the results are amazing . I can't stop smiling and I don't know how to thank you all enough you have given me so much confidence I would send anybody your way for help it has changed my life. Very happy with the treatment and crowns given. Feel able to smile for the first time in a long time. Very good after care. Many many thanks to the City Dental team. From beginning to end the service you have provided has been fantastic and I now have the results to prove it. After initial consultations with numerous dental practices, it was clear after meeting Dr Gakhal that I would come away happy....I encourage others to do the same as you won't be disappointed. The practice is very friendly and helpful. 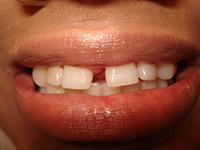 They take great care and I was extremely pleased with the results of my dental work. I received a metal denture and was extremely pleased. City Dental Practice are very professional. I was told everything that was going to happen, how long and most importantly the cost front: no hidden extras. 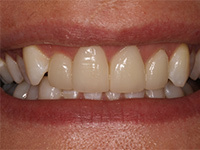 The dental treatment was brilliant and i am very pleased withresults after losing my front tooth and having an implant. After losing a front tooth the only thing my dentist could suggest was a denture, it was horrendous. I decided to look into a dental implant and spent many hours on the internet looking into it. I visited dozens of dentist's websites as far as Birmingham and read hundreds of reviews. The one that stood out from the rest was City Dental. The initial appointment was made, I met Dr Gakhal who went through the procedure in detail explaining everything and answering all my questions. I was given a written treatment plan with a fixed price. Shortly after the treatment commenced; Dr Gakhal was superb, his manner, level of skill, attention to detail etc cannot be surpassed. In view of this I had 2 implants and my wife also had 2. This has been one of the best decisions of our lives, it is life changing and has given us both more confidence and given us our smiles back. Like most worthwhile things it is a long road but the benefits are there every time you look in the mirror, it's a lovely feeling. If there are people reading this who have doubts about having a dental implant please don't. I would be happy to speak personally to anyone who is considering implants, if you are, contact City Dental with total confidence. Last but not least, Dr Gakhal would not be able to work at his level without the high standards of his staff team many, many thanks to you all. I am writing to express my gratitude for the professional treatment, patience, care and friendliness I have received over the past 8 months from Ihab, Linda, Kirsty and Nicola. In my first check-up Ihab and I came to an agreement that he would create the lovely whiter smile I desperately wanted by replacing my four front very yellow crowns which had been put in 20 years ago by a previous dentist if I had the essential treatment he advised i needed i.e. 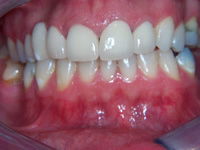 replacing old painful fillings and see the hygienist Nicola. This was to evaluate my brushing and flossing technique to tackle a small but growing area of gum disease and unpleasant breath. My previous dentist had not recommended visiting a hygienist even though on several occassions I mentioned that my breath could smell sweeter! I took Nicola's advice which has been invaluable and made a real difference to my oral hygiene i.e. no more bleeding gums or bad breath!. 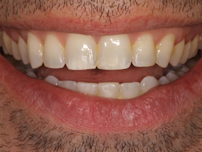 Within 8 weeks Ihab had transformed my smile as over the years I had got into the habit of smiling with my mouth closed because I was so embarrassed about showing my yellow front teeth and now I not only have a great smile but also my confidence is back. My new teeth look so natural and cleaner that my partner of 17 years believes I only had me teeth whitened and not replaced. I am very pleased with the treatment I received and the staff are very friendly. I would definitely recommend them to anyone.